How long after the operation should I interrupt my daily activities? What are the post-operative restrictions? Are both eyes operated at the same time? Will I use glasses after the operation? A cataract is a clouding of the lens in the eye which affects vision. 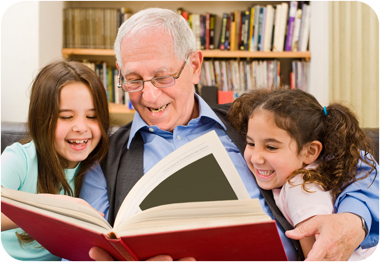 Cataracts are very common in older people, mostly relating to ageing but they can also develop in younger people. Some children are even born with a cataract. In the early stages of cataract development it can be managed by changes to glasses prescriptions, altering lighting conditions, and / or limiting driving in conditions which are causing glare and other complications. However as the cataracts get worse, and the patient feels that their vision is not acceptable and affecting their quality of life, cataract surgery is then recommended. These days cataract surgery is performed under a local anaesthetic, as a day-only patient. Cataract surgery is one of the most commonly performed operations in the world. As a result it has become very advanced, streamlined and relatively risk free. A cataract is a "clouding" of the lens in your eye. The lens, located just behind the iris, or the coloured part of your eye, works like the lens of a camera. It picks up images, then focuses the lights, colours, and shapes on the retina, which sends the images to your brain. The human lens, made mostly of protein and water, can become clouded — so clouded it prevents light and images from reaching the retina. Eye injury, certain diseases, or even some medications can cause the clouding. However, in over 90% of cases, clouding is caused by the aging process. A cataract can be the reason sharp images become blurred, or seeing things at night is more difficult. It may also be why glasses or contact lenses that used to help you read, or do other simple tasks, no longer seem to help. 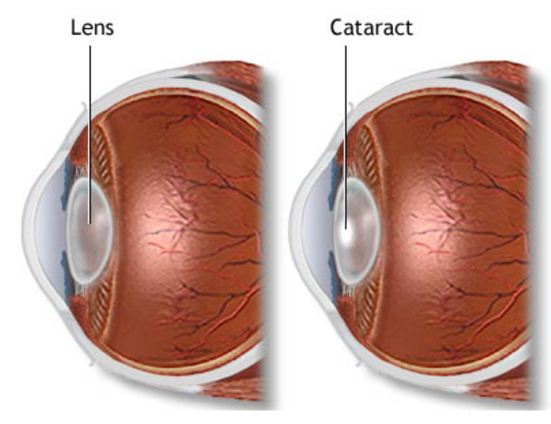 A cataract starts out small and has little effect on vision at the beginning. You may notice that your vision is blurred, like looking through a cloudy piece of glass. Cataracts can also produce glare with sunlight, lamps or headlights at night. As the cataract develops, your vision will be more blurred, interfering in daily activities. If you notice any of the symptoms described previously, come and have an eye examination. By performing it, we will know if you have a cataract. It is treated with surgery. The cataract is removed by the Phacoemulsification technique, and the clouded lens is replaced with an intraocular lens (IOL). Generally, surgery is recommended when the cataract is impacting on the patient's daily activities / quality of life. Phacoemulsification is performed using an ultrasonic probe to divide the cataract into small segments and gentle suction removes the fragments from the eye through an incision usually measuring 2½ mm. No suture is needed as the natural outward pressure within the eye seals the small stepped self-sealing incision. Before your operation, the corneal curvature and length of the eye ball are measured. These measurements are then used to calculate the power of the intraocular lens the surgeon needs to implant once the cataract is removed. Phacoemulsification is nearly painless during and after the procedure. Most patients feel only a little discomfort during the surgery due to the instruments used to prevent the eye moving or blinking. Cataract surgery is an outpatient procedure. You'll spend just a few hours at the hospital. Because your eyes will be treated with anaesthetic, you should feel little to no discomfort. After the surgery, you'll be given a short time to rest. Then, the very same day, you can go home. The next day, we will see you here at Clearsight. Drops will be prescribed to guard against infection and help your eyes heal. On the day of the surgery you should rest at home. The morning after the procedure, you should notice significant visual improvement and your vision should continue to improve over the next few weeks, allowing you to continue your daily life. On the day of the procedure, you are requested to rest as much as possible. You will use antibiotic and anti-inflammatory eye drops for four weeks. You may be more aware of glare for a short while after your operation. Similar to any surgical procedure, there are always risks, but currently, phacoemulsification is one of the safest techniques with millions of patients operated on all over the world. For your safety, cataract surgery is done one eye at a time. In some cases the capsule may opacify some time after surgery, affecting the vision. In these cases a central opening in the capsule is required to restore vision. This is called a capsulotomy and is achieved with a YAG Laser. The capsulotomy is performed as an outpatient procedure and produces no pain. No anaesthetic is necessary and vision is restored. The improvement in quality of life after the operation is extraordinary, according to the majority of the patients. You will still need to wear reading glasses unless you have decided to have monovision or multifocal intraocular lenses.